Entrepreneurs who need help boosting their business could learn a thing or two in church. New houses of worship face many of the same challenges as start-up companiesâ€”and the strategies pastors use can hold valuable lessons for entrepreneurs of any stripe. Consider the worldly concerns pastors have to sort out to get a church on its feet. They must assess a market to see if locals want a new alternative, figure out whether to buy or rent spaceâ€”and then find ways to keep worshippers coming through the door. Not to mention landing enough donations to keep in the black. And if pastors can’t keep revenue flowing, they face the same realities that all small businesses do. About one-third of new churches fail by the end of their fourth year, according to an estimate by Lifeway Research, a nonprofit church-advisory group in Nashville, Tenn. So, pastors often try a range of creative strategies to launch their church and stay afloat. These methods cover all sorts of situations but have one common theme: tapping into a church’s unique spiritual mission. Pastors try to build their business by tightening their ties to their community and treating worshippers like friends and neighbors instead of customers. Here’s a look at some of those tacticsâ€”and what entrepreneurs can learn from them. Like any other enterprise, pastors need to test the waters before they set up shop. But when they do their market research, pastors often bypass the traditional, formal methods of assessmentâ€”such as surveys and focus groupsâ€”and try a much more personal approach. Clay Reed, pastor of the Southlake Baptist Church in a Dallas suburb, says it helps to develop a profile of “the kind of person you think would probably want to come in the door.” Then approach a few such individuals personally and get to know them. “If they are the kind of people who do business over lunch or go to diners, take them to lunch or hang out in a diner getting to know them,” he says. In Mr. Reed’s case, his experience as a churchgoer taught him that young families are the most vital growth factor for start-up congregations, so he sought out parents attending youth sports events and struck up conversations on the sidelines. He found them receptive and forthcoming. For instance, several parents told him that programs for kids were essential in any church that sought them as regular members. But they warned him that those programs shouldn’t duplicate offerings already in abundance in the communityâ€”and they shouldn’t be scheduled at times that competed with established activities. The next challenge is deciding what kind of space suits a fledging enterprise best. Many churches plan for growth from the beginningâ€”a natural outgrowth of their missionary values and the faith they have in their enterprise. That doesn’t mean breaking the bank, however. Pastors get creative to ensure that their expenses are low at the start, but that they can expand easily and cheaply. Many rent space, for instance, in schools or even movie theatersâ€”where they can take over additional auditoriums if they need extra seating space for Christmas, Easter and other special services. 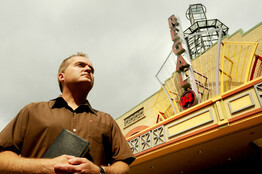 Justin Haigler says he spent about $60,000 to open his independent congregation in a rented movie theater in Bossier City, La., in 2007. Starting out in a one-screen auditorium, the Simple Church now rents space that contains 14 screens in one multiplex and six in another. Of course, many small businesses can’t follow that model exactly. But many can find creative ways to guarantee easy access to expansion space. Consider Mr. Reed, who sold his office-cleaning company when he founded his church. For years, he says, his secular enterprise operated rent free out of space owned by some of its customersâ€”storing equipment and paperwork in spare offices or other rooms. “We didn’t even have our own building until we had about 500 employees,” says Mr. Reed. New businesses can be so determined to broaden their audience that they immediately turn to mass-appeal methods such as campaigns on the Internet, radio or television. But they lose something crucial in the process: the personal touch. Clerics at fledgling churches are well aware they are their own best public-relations representative, and they don’t miss a chance to meet and greet potential members in the neighborhoodâ€”such as distributing handbills on the street in person. Another useful strategy: getting to know local businesspeople, who can work wonders by talking up the church to customers. “When we started out, I took a gift basket to every store. I said, ‘I don’t know if you go to church, but we’d love to have you,’ ” says Mr. Haigler of the Simple Church, adding that the merchants helped inspire a stream of new congregants both from their ranks and among their customers. Charity and volunteer efforts are another way to get closer to the community. While these may seem a luxury for many small businesses, churches see them as essential strategies that attract interest and get new members involved. New churches usually become quickly visible in everything from clothing and food drives to helping find shelter for the homeless. Such activities can attract support from patrons of the poorâ€”and previously indigent people the churches helped get on their feet. Finally, small businesses could take a page from churches when it comes to getting people to open their wallets. New churches often use innovative ways to encourage congregants to donate. Rather than relying on the collection plate, most preachers set up a website for online giving by credit card. Some try to make in-church giving easier, too, by putting a bucket in the lobby instead of asking people to toss cash into the plateâ€”which makes people feel a lot less self-conscious about making small donations. It also helps the church seem less focused on money. 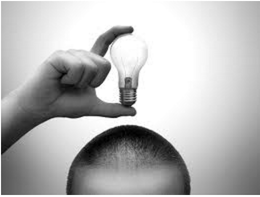 Small businesses could implement these sorts of ideas in a number of ways. The secular retailer who knows his customers well might feel comfortable providing layaway plans, flexible no-interest credit and discounts for cash payments. The key is to play off the personal relationship that a small business has with its customersâ€”something a big business, like a chain store, might not have. Mr. Johnson is a writer in Roanoke County, Va. He can be reached atÂ reports@wsj.com.